It’s a fact that companies with solid brand equity do rank for more keyword terms and get more traffic from Google. Google may not be favoring brands on purpose-although it may seem so. Having a brand advantages equity advantage does mean a link/citation advantage and a behavior advantage. Users do have a tendency to click more on sites they know. If people don’t know who you are, they are less likely to click on you. As a lesser known brand, you have to engage more with your potential visitors. Every search is a question, so if Google offers your site as an answer, then a small brand has to make sure that they are providing a clear response. In other words, provide a great user experience and users will start engaging more with you. On the other hand, smaller brands have an edge in terms of reacting to changes, since they can move faster on changes, compared to larger brands. Big brands should not be a logo police only and alienate their online audience. Big brands should not lose out to the new media amidst red tape/bureaucracy as they tend to do. The key take away was that it is not known for sure if Google favors brands or not. However, both big and lesser known brands should strive to offer the best online user experience they can, as that is the best way to be aligned with Google. 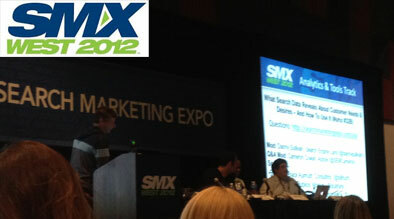 Mark Munroe, Senior Director, SEO, Reply!, Inc.